Welcome to an early edition of the Week in Review. Due to this week’s Thanksgiving holiday here in the U.S. we’re posting the WIR today so we can enjoy some well-deserved down time with our long-suffering families. Of course, in between the turkey leftovers and marathon NFL TV sessions, we’ll naturally be online playing Forza Motorsport 5 so, if you find us online, be sure and say hello. Now let’s kick things off with some important updates on the Forza 5 economy. First up, I’ll say thanks to everyone who has played Forza Motorsport 5. It’s encouraging to see so many having such a great time with our game, and the Forza community rallying around the latest Forza Motorsport experience. It’s also amazing to see all of the feedback coming in about our game. Forza players are among the most passionate fans in the world and it’s awesome to see your passion (be it positive or negative) pour through to us on forums, Tweets, Facebook, and e-mail. 2) If you are a Forza Motorsport 5 VIP member, you’ll receive the 2013 Lotus E21 grand prix car as a thank you. (Note: You must own Forza Motorsport 5 VIP membership to take advantage of this offer.) In addition to being one of the most radical and expensive cars in FM5, the E21 is also one of the quickest. For more on the E21, check out its entry on the Forza Motorsport 5 Cars page. This gift may take up to 24 hours or longer to be fulfilled in the game and, in order to receive your gift, you will need to back out to the main title screen with the orange McLaren P1 and then press “A” to log back in. 3) Those players who have already purchased the 2013 Lotus E21 as of today (Wednesday, November 27) will also receive the 1962 Ferrari 250 GTO as a further thank you. This gift may take up to 24 hours or longer to be fulfilled in the game and, in order to receive your gift, you will need to back out to the main title screen with the orange McLaren P1 and then press “A” to log back in. 4) For those players who have purchased the LaFerrari Car Pack or the Forza Motorsport 5 Car Pass we’ll gift the 2013 LaFerrari directly into your Forza Motorsport 5 garage. No need to purchase the car separately with in-game credits or tokens. (Note: In order to receive and use these gift cars, you’ll need to own either the LaFerrari Car Pack or the Forza Motorsport 5 Car Pass). This gift may take up to 24 hours or longer to be fulfilled in the game and, in order to receive your gift, you will need to back out to the main title screen with the orange McLaren P1 and then press “A” to log back in. Now, a word about tokens in the Forza Motorsport 5 Limited Edition. In our original description for Forza Motorsport 5’s Limited Edition, we told you that Limited Edition owners would get 1,250 in-game tokens, which we mistakenly said would be enough tokens to afford any car in the Forza 5. It isn’t. As a result, a number of you have pointed this out to us – that there are a number of cars in the game that cost more than 1,250 tokens to purchase. We’re sorry. In order to make up for this discrepancy, we will soon be offering Forza Motorsport 5 Limited Edition owners the chance to download and own the car of their choice in the game. Players will be able to choose from any of the on-disc cars in Forza 5 and will be able redeem this offer on ForzaMotorsport.net via a dedicated page that will be available no later than December 16. Looking ahead, we’ll continue to make further adjustments to the Forza Motorsport 5 economy when they’re needed and I’ll be sure to keep you informed as these changes are made. For now, take advantage of all the cool stuff coming your way and, as always, thanks for your patience and for being a member of the Forza Motorsport community. Speaking of Forza Rewards, by now you should have received your launch gifts in Forza Rewards. Depending on your Tier level, this includes new cars like the 2012 Ferrari F12berlinetta, the 2013 McLaren P1™ and more. For all the details see our recent post breaking down all the Forza 5 Rewards broken down by Tier level. And remember: If you haven’t redeemed your rewards this month, you’ve still got time! 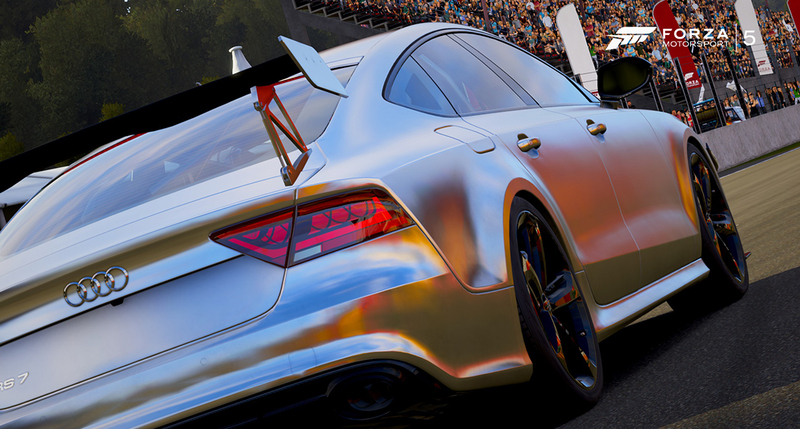 If you’ve got a question about an issue in Forza Motorsport 5, we want to help. There’s lots of different ways you can get ahold of us, which I’ll detail in a bit. First, I wanted to point out that community member ManteoMax has a great thread detailing some of the more common issues that players are running into. That thread is a great place to start if you have questions about what’s happening in the world of Forza. If you can’t find an answer to your question, you can post a thread in the forums or hit us up on our support e-mail. We do our best to answer e-mails as quickly as possible but please be patient as we have a lot of e-mails to get through on a daily basis. Now a few words on our ongoing contests with our friends at Honda. 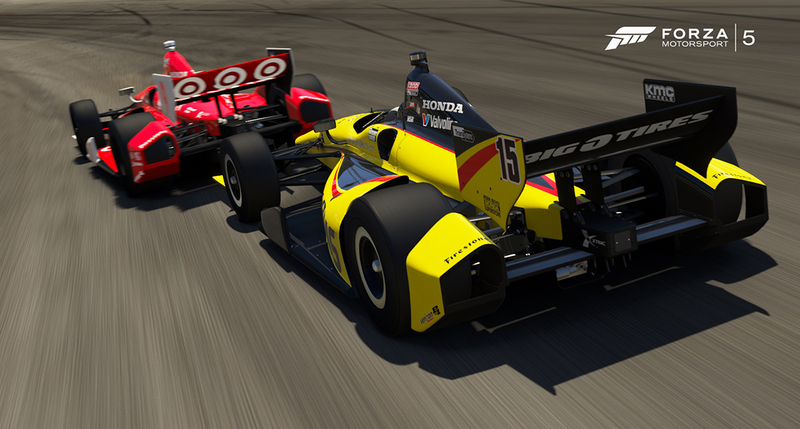 Our Forza Horizon Honda Livery Design Contest ends this Sunday, December 1 and the lucky winner will win an Xbox One, a copy of Forza Motorsport 5 and a trip for two to the 2014 Chicago Auto Show. 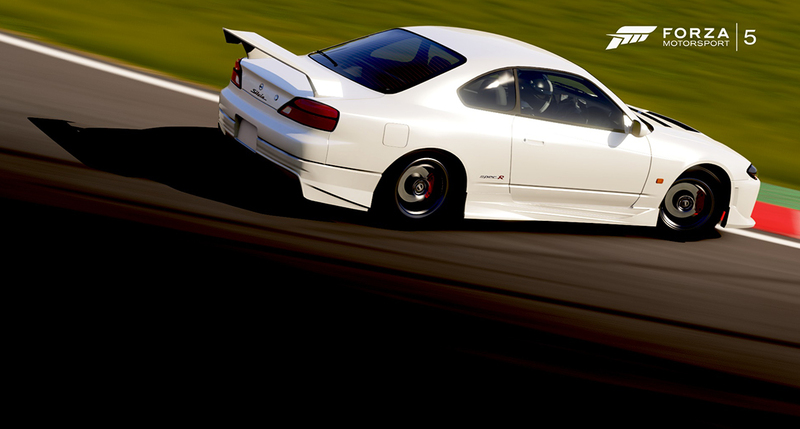 All for creating an awesome livery on your favorite Honda car in Forza Horizon. To find out more, check out the details and get your design entry in before midnight Pacific this Sunday! With the release of Forza 5, we also kicked off a different Honda contest, the Honda Race to Win Contest, where one lucky winner will win a Honda-branded Mad Catz Xbox One racing wheel. All you need to do is register and play Forza Motorsport 5 between now and midnight on February 2, 2014. For all the details, see the rules page. Looking for a holiday gift for the Forza fan in your life? Well, assuming they’ve already got an Xbox One and a copy of Forza 5, you can’t go wrong by shopping at the Official Forza Motorsport Store. Beginning on Friday the Forza Store will be holding a store-wide Black Friday sale, which goes from 11/28 to 12/1. During the sale, all hoodies will be $10 off, and all T-shirts will be $15. Well, that’s another Week in Review in the books. Once again I’d like to express our appreciation for your support during the launch of Forza Motorsport 5. We’re all really excited about the future of the game and we look forward to sharing more great news (and more awesome racing) with you in the near future. 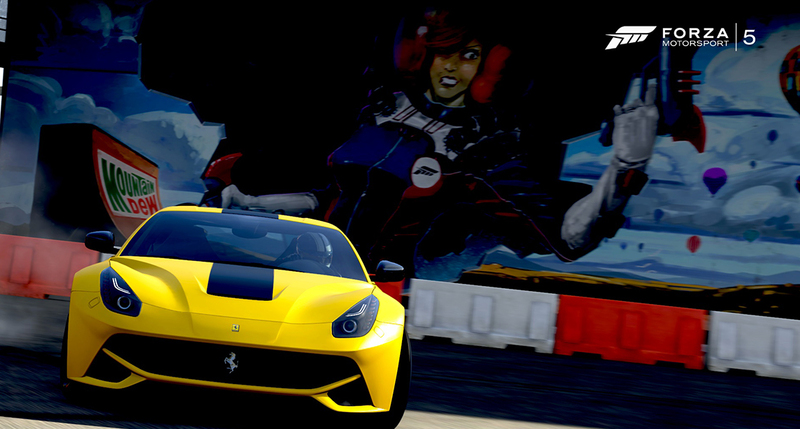 For now, get ready for a weekend of awesome car deals in Forza 5 and we’ll see you on Monday!